Some friends recently gave me a whole bag full of garlic that they had grown in their garden. I decided to roast it, some for the freezer, and some for Roasted Garlic Butter. 1. Heat the oven to 375°. 2. Cut a large sheet of heavy aluminum foil and place on a baking sheet. 3. 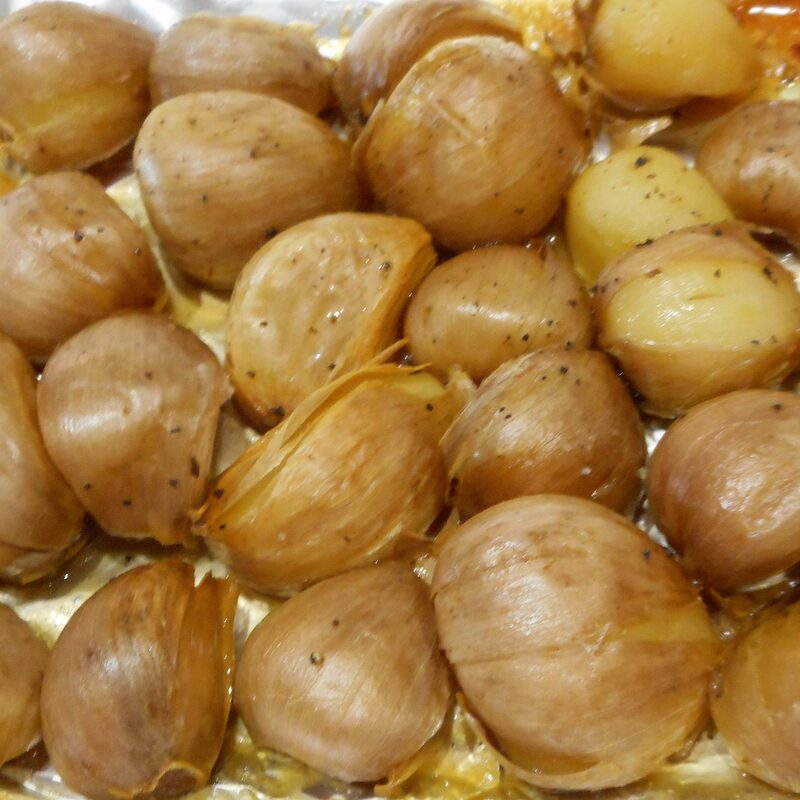 Place the garlic cloves on the foil in a single layer and drizzle with olive oil, then sprinkle with salt. Toss to coat. 4. Fold the foil up over the garlic and crimp shut. 5. Bake for 45 minutes, then check. The garlic should be soft and slightly browned. If not, return the garlic to the oven to roast a little longer. 6. When cool enough to handle, peel. 7. At this point you may flash freeze the individual cloves for future use or mash and freeze for use in any recipe.